We’d love your help. Let us know what’s wrong with this preview of American Spirit by Taya Kyle. After losing her husband, "American Sniper" Chris Kyle, bestselling author Taya Kyle entered a period of deep grief. And yet the experience served as a catalyst for profound growth. Taya found her own res Life leads us through difficult terrain. But what happens if you use challenge as an opportunity to discover your PURPOSE? These Americans did and are changing the world. 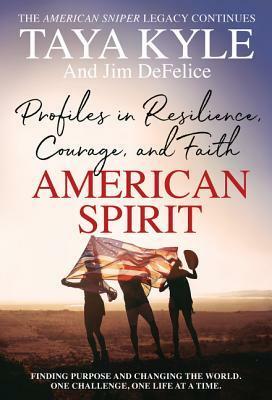 To ask other readers questions about American Spirit, please sign up. Taya Kyle is an American author, political commentator, inspirational public speaker and military veteran's family activist. She is the widow of US Navy SEAL sniper Chris Kyle. Taya founded the Chris Kyle Frog Foundation where she volunteers her time as Executive Director. She is also a Fox News contributor. Taya resides in Texas with her two children.